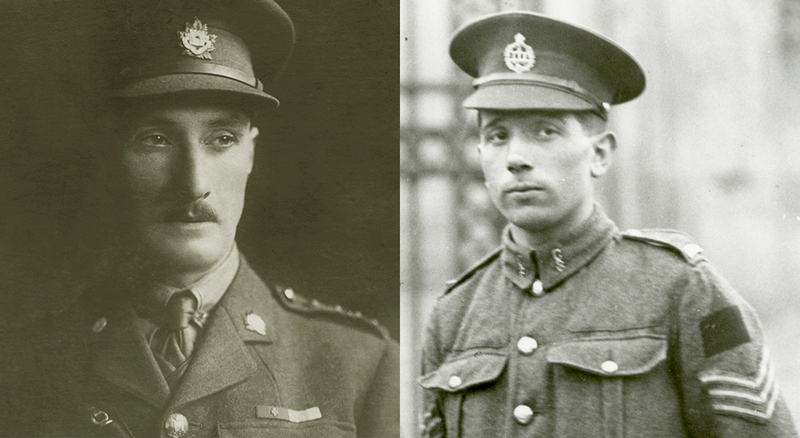 Thanks to the timely help of donors, two Victoria Crosses from the First World War are now safely part of our national collection at the Canadian War Museum. Over the past four years, the Museum has been remembering and telling the stories of service and sacrifice of the First World War, where 620,000 Canadians enlisted and fought in places like the Somme, Vimy Ridge, Passchendaele and Amiens. The highest honour a soldier of the Canadian Expeditionary Force could receive was the Victoria Cross, rewarded for uncommon valour and supreme sacrifice. Colin Fraser Barron was only 17 when he came to Canada from Scotland. He enlisted at the outset of war, in 1914. One of the 100,000 Canadians ordered to take the ridge near the Belgian town of Passchendaele, Corporal (later Sergeant) Barron found himself in a dangerous, surreal moonscape. Passchendaele was a shell-shattered landscape of craters and unburied corpses, where German soldiers had all the advantages of fighting on the defensive. On November 6, 1917, Barron rushed headlong into three German machine gun positions, capturing them and turning the guns against the enemy. For this singular act of heroism, he was awarded the Victoria Cross. He lived to serve in the Second World War and died in Toronto in 1958. Lieutenant-Colonel Harcus Strachan, V.C., M.C. and Sergeant Colin Fraser Barron, V.C. 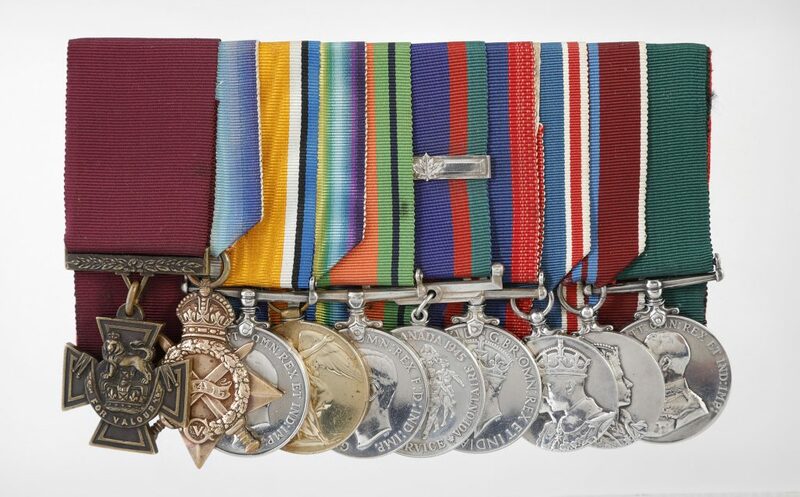 A hundred years after the battle, Barron’s great-granddaughter led efforts to keep her ancestor’s Victoria Cross medal set in Canada when it came up at auction. By extending a generous gift to the Museum, Lesley Barron Kerr made sure a piece of Canada’s military legacy would be part of the War Museum’s collection. “It’s important to me that my great-grandfather’s medals remain in Canada and that his story is shared,” says Kerr, who looks forward to seeing the medals with her children. After his squadron leader was killed during a cavalry charge, Lieutenant (later Lieutenant-Colonel) Harcus Strachan led his men through machine gun fire to take an enemy battery near Masinières, France, on November 20, 1917. After killing the gunners, Strachan was trapped behind enemy lines at night, although he and his troopers raided enemy positions. Strachan eventually led his men back to the Allied lines, taking 15 German prisoners with them. A member of the Fort Garry Horse, Lieutenant-Colonel Strachan received his Victoria Cross from King George V at Buckingham Palace in 1918. He died on May 1, 1982, at the age of 97 years, the longest-lived recipient of the Victoria Cross. As Canada winds down the First World War Centenary, the Museum especially recognizes the efforts of private donors in preserving Canada’s history for generations to come.